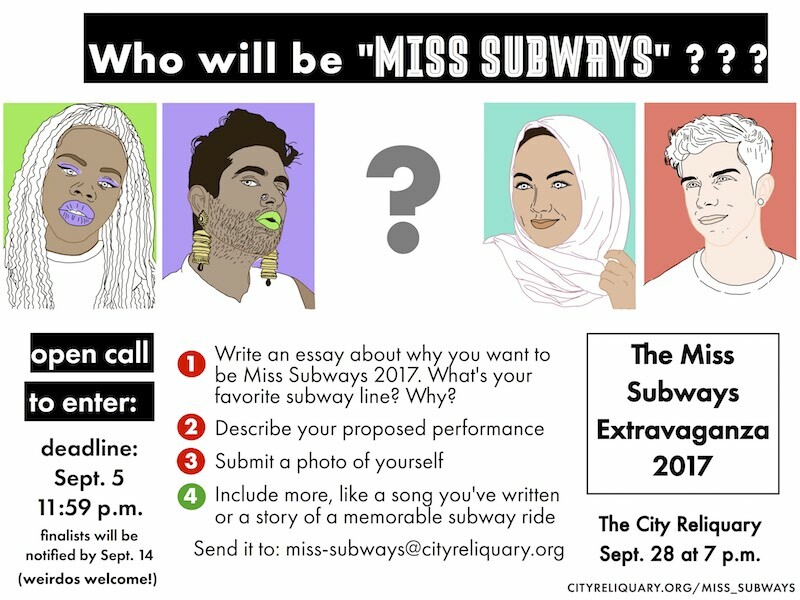 The Miss Subways pageant is a call to arms to advocate for the NYC underground. In a night of performances spanning the classy, the trashy, the weird, and the whimsical, contestants will demonstrate their love, frustration, and ultimate devotion to their subway line of choice. But only one will take home the transit tiara! Beverages available by suggested donation, with beer courtesy of Brooklyn Brewery.